The list below provides a summary of some of the assignments we have conducted. 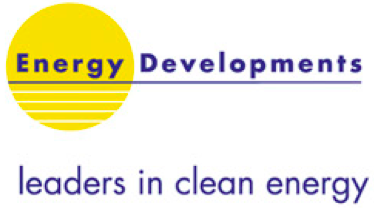 Please note that this list focuses primarily on electric, hydroelectric, cogeneration and wind energy; it does not include our numerous activities in the oil and gas sector (see Oil and gas), nor our work with coal projects (see Mining and minerals processing). We conducted quantitative assessments of appropriate limits of liability to be included in various retail and distribution supplier contracts. We prepared and conducted a project risk assessment for a large group of international stakeholders in the Rabigh Independent Power Project. We facilitated a risk review and provided instruction on a quantitative risk analysis package for a wind farm project. We conducted construction cost and schedule risk analyses for hydroelectric development projects on the Susitna River, Alaska. We conducted a review of the construction cost uncertainty for a proposed hydroelectric development project in northern Alberta. We conducted project risk analyses of several cogeneration plant installations; we analysed risks to 500 kV transformers and switchgear at a smelter grid connection; we conducted reviews of energy supply risks, including quantitative risk analyses of major failures in the gas supply delivery system. We developed a risk assessment procedure for the Engineering Division; we facilitated a risk assessment of the business plan for the Business Development Branch; we conducted a risk assessment for the development of a Customer Information System; we assessed risks associated with constructing long-distance fibre optic connections; we assessed commercial bidding risks associated with a 220/110 kV sub-station design and construction project; we conducted a quantitative risk analysis of the cost estimate for a 33/11 kV sub-station redevelopment; we provided risk management training, based on an electricity sub-station and distribution lines; we facilitated a risk assessment of optical ground wire installation on tower lines; we facilitated a qualitative risk assessment for a substation redevelopment. We reviewed the ERM framework for the new organisation; we conducted a Board risk workshop. We participated in a private consortium to evaluate the commercial risks associated with developing wind farms in Australian jurisdictions. We conducted quantitative risk analysis of the capital cost estimate for a cogeneration plant. We conducted a risk management maturity review of the company’s ERM framework for the Board Risk Committee. We conducted a risk assessment for the Pioneer Cogeneration Project, including quantitative cost risk modelling. We prepared and implemented an ERM framework for the company; we consolidated risk management practices in operational areas; we conducted a high-level risk assessment for the business; we conducted an audit of risk management implementation, including a review of the use of risk management database software; we conducted operational risk assessments in the two main regional business divisions. We conducted quantitative risk analyses of costs and the schedule for the Transpower New Zealand North Island Grid Upgrade Project proposal; we conducted a quantitative cost risk analysis for the Karara Transmission Project in Western Australia. We developed the ERM framework for the company, with supporting standards, guidelines and implementation plans; we conducted a strategic risk assessment; we provided training for the Hazard Review Group. We reviewed and enhanced the company’s ERM framework; we facilitated a strategic risk and control review workshop. We facilitated a quantitative cost risk analysis for the Neerabup Gas-Fired Power Station Project. We facilitated the development of the company’s Integrated Risk Management (IRM) framework, standards and guidelines; we provided risk management training to a large group of champions across the company; we conducted a risk review for the Nuclear One Project; we reviewed the implementation of IRM in the company. We provided risk management training sessions. We facilitated the development of a risk management plan for the company; we developed a risk management policy statement and associated standards; we trained risk management champions; we evaluated risks associated with a joint venture proposal; we facilitated a strategic risk assessment of the Millmerran Project. We conducted a risk assessment and risk treatment workshops associated with the reliability of power distribution at the Lihir gold mine and processing plant. We assisted with the due diligence for the railway associated with the Playford B Power Station; we assisted with the quantitative assessment of the likely outcomes of disputed claims associated with the Playford Refurbishment Project; we conducted a variety of Hazop and control systems Hazop (Chazop) studies of system modifications to Playford. We conducted a risk assessment and provided risk management training associated with fly ash disposal from a coal-fired power station and disposal of the waste in an open-cut mine void for site remediation. 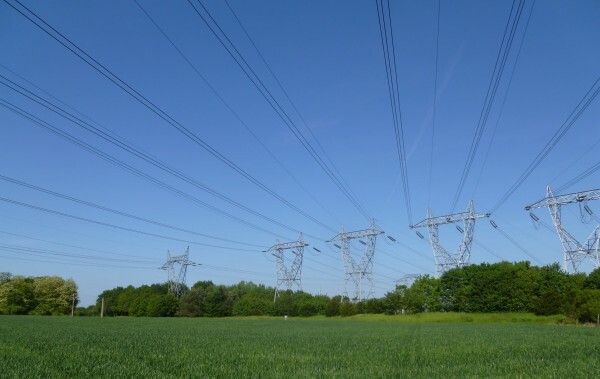 We conducted quantitative cost and schedule risk analyses for the North Country Reinforcement Project (construction, upgrade and replacement of 300 kV transmission lines), as part of the alliance establishment and price negotiation process. We facilitated the identification and evaluation of business development options for a group of potential investors in a thermal coal mine to support a power station. We provided risk management training, based on a cogeneration boiler system design and installation project. We conducted an evaluation of their risk management framework and made recommendations for its improvement. We prepared and implemented an ERM framework for the company; we conducted detailed business risk assessments across the company. We developed the company’s ERM framework; we facilitated a strategic risk assessment; we further developed the framework and trained risk coordinators; we conducted a review of ERM implementation. We reviewed high-impact, low-probability events for the Henderson-Otahuhu line, as part of Transpower’s submission to the New Zealand regulator, the Electricity Authority. We conducted a ‘black hat’ review for the retail business. We conducted a safety integrity level analysis of the concept design for a power station burner management system. The Koniambo Nickel Project in New Caledonia included a coal fired power station with 2 x 160 MW fluid bed boilers and steam turbines plus 2 x 80 MW diesel-fired combustion turbines; we conducted technical reviews, focused on technical risk, HAZOP studies, technical compliance with contract specifications, interfaces with the processing plant, system stability (especially under rapid load changes with load shedding) and emergency power generation (including black start capability).